I love spring in Toronto. After such harsh winters, spring is especially pretty here. It is the gateway to summer with bright and cheery colours, and the sweetness in the air from all the blooming flowers! 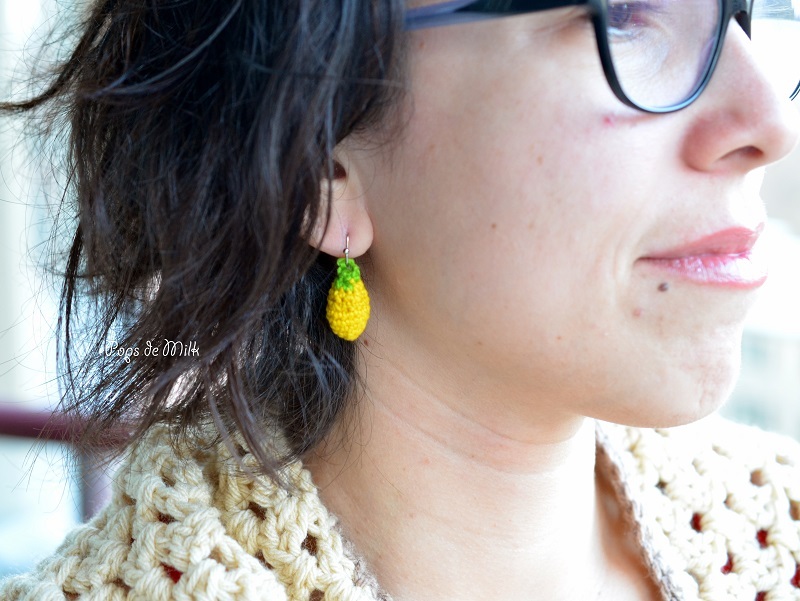 Lemons happen to be bright, cheery, and fragrant, which is why I was compelled to make these super adorable crochet lemon earrings! Besides wanting new crochet accessories, April is Stress Awareness month and I was inspired to make more lemons to squeeze stitch the stress away – remember the Lemongrab squeeze ball? I’ve found over the years that crochet is incredibly soothing and therapeutic. Combine that with lemons and you’ve got an instant mood lift. I used stitch markers to keep track of rounds. 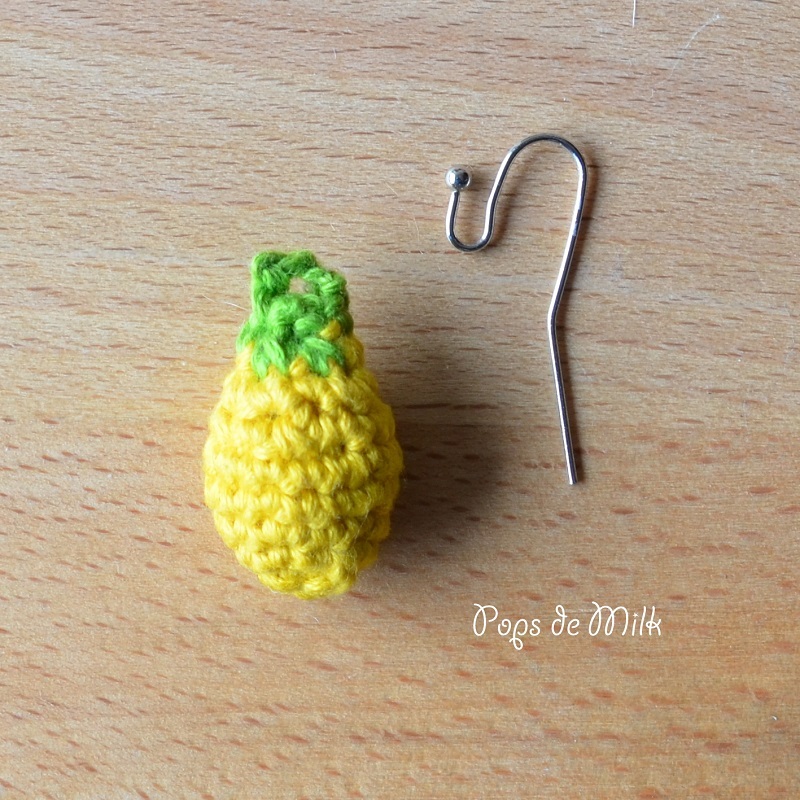 For projects of this size I recommend using small safety pins or bits of embroidery floss. Because of how small the project is, it’s especially important to be able to see where the rounds begin and end! Check out my embroidery floss storage post to learn more about the clothing pins I use to store my embroidery thread. 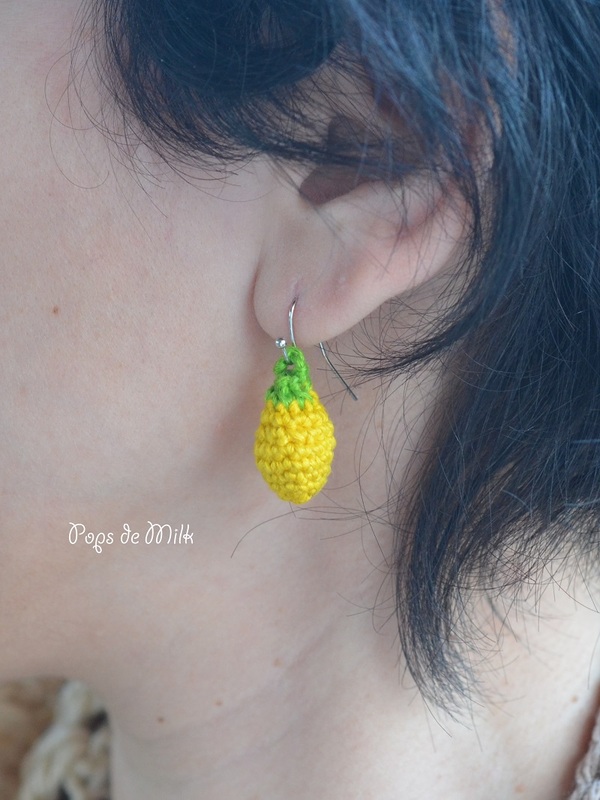 The crochet lemon earrings pattern can be found in the Pops de Milk pattern store.